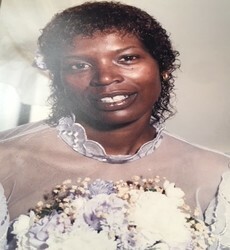 Brenda Carolyn Clayton, 72, aka Brenda Wheeler passed away January 30, 2019 at Jersey Shore University Medical Center. She was born in Long Branch, NJ on February 24, 1946 to Juhne Allyson Wheeler and Carl Edward Brent. She was the second of four children. She loved her children and grandchildren to death, she was a family person who enjoyed helping others with her fearless heart. She was a real proud woman, a true lioness well respected internationally & nationally. She mastered the art of hustling and educated others on her skillful arts....Queen Brenda was well respected as a Queen and a Gangstress among Gangsters from New York City to Los Angelos, CA. She will be truly missed but her history will always be honored and never be forgotten in these streets; January 30th will be her celebrated (party) a holiday. She attended school in Long Branch, NJ. Brenda attended the Second Baptist Church when she was young. She worked in several retail positions wholesaling for various kinds of stores. This is a true fact...Brenda was the Queen of keeping it truly 1000% Real with her children and anyone who crossed her path, walking down the yellow brick road....I don't know one person dead or alive who can take the pain she took for over 72 years! Brenda moved to numerous states throughout the country, she resided in Germany for several years as a child. Her father was from Cuba, her mother was a native of the United States. Queen Brenda had a good sense of humor until you made her mad!! Then you might get smacked!! She enjoyed all kinds of music, watching old western movies, soap operas and the price is right. She also enjoyed traveling, horse racing, dog racing, gambling and playing cards. She loved the Dallas Cowboys, Los Angeles Lakers and New York Yankees. Most of all Brenda loved getting money and spending it as fast as it came on her children and grandchildren. Brenda is preceded in death by her mother Juhne Butler, her son Tray Brent, her daughter Queen Nedra Jones, three grandsons King Islam Brent Jr., King Ayeaire Jones, King Royal Brent and granddaughter Queen Asia Brent, and great grandchild Queen McRae. She is survived by her two loving sons Erskine (IBorn) Brent and King-Islam Brent; three siblings Emilie Joyce Samuels, Lloyd Franklin Wheeler and Sarita Lynn Postell; a sister-in-law Louise Wheeler and brother-in-law Allen Postell; two special daughters Shamecca Mabson-Diggs and Arabia Taylor; twenty-seven (27) grandchildren I-Born child: Lil I-Born Lane, King Islam & Shamecca children: Princess Nyakasia, King Hakeem, King Islam Jr., Queen Asia, Princess Shr'Masia, King Xavier, Prince Daishon, Princess Nigeria, Prince Cee Allah, Prince Narobi, Queen Empress, Princess Equasia, King Emproar, Princess Shamecca, King Love, Princess Sienna, Princess Quahdajah, Prince Tupac, Queen Islam, Princess Nedra, King Makaveli, King Javion, King Royal, King Messiah, Nedra children: King Zyeaire Jones, Prince Jazaire Jones and King Nyezaire Jones; 17 great-grandchildren: King Semaj, King Nasir, Queen Melonie Paris, Queen Ashian, Queen Alayna, King Najee, Princess Aaliyah, Prince Daylin, Queen Zamya, Queen McRae, Princess Saige, Princess Ahriya, King Syven, Prince Jordon, Princess Naiiri, Prince Nykaire and Queen July; she also leaves behind aunts, nieces, nephews, cousins and many friends and adopted children. Keith Scott, Sheila Mabson, Queen McRae, Janelle Maggiano, Jordan Oglesby, Ricky Page and King Love Allah.....our old earth Queen Brenda will be loved in Christ until the end of time....keep in mind she raised an empire and left her footsteps on the Legendary Wheeler Blood line legacy to help complete her grandmother Ruth Blanche Turner Wheeler and her grandfather Wilbur Wheeler true historic history.